There’s whispers on the wind that cask beer is big news in trendy town. But what if where you live doesn’t care about trends? What if where you live, keg beers are still treated with suspicion? What if where you drink, the beers have always been cask, poured through sparklers, and served glassy and polished to suit the adage: “If it int bright, it int right”? 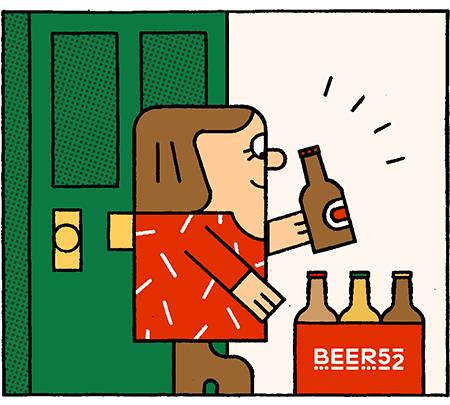 Is it possible that your local pub, with its pool team, wonky toilet doors and clashing carpets, is at the forefront of craft beer’s trend machine? That cask is finally getting the appreciation it deserves is lovely to see. 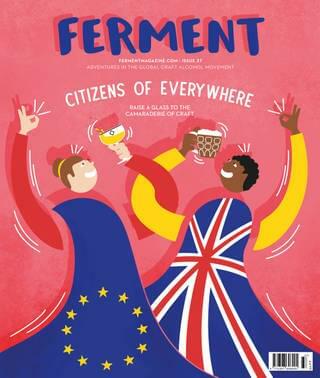 It’s an important part of beer heritage in Britain and represents what so many of us view as the pinnacle of brewing (to borrow a phrase from CAMRA). Rather than making a comeback, it’s steeped in my life and connected to me by vivid memories and well-trodden anecdotes. I’m northern, and not only that, I’m rural northern. Cask is as vital to my personal wellbeing as wholemeal toast and woolly walking socks. I can’t separate my heart from the issue, so from now on this will be an unashamedly biased depiction of what cask means to us northerners. Why pick out the north of England? Well, that’s my frame of reference. There are plenty of excellent cask beer-loving areas of the Midlands, the South, Scotland, Wales, Northern Ireland and the Republic of Ireland where the beer is good and the cellars are well-kept, but that’s not where my roots are. Perhaps you can corner me and tell me about the best cask where you live if you ever see me out and about. I’d love to hear about it. "The locality of their beers, the fact they were northern and brewed in the north, it became important"
In any good pub in the north you’ll find people of all ages and descriptions drinking cask beer. There’s a ubiquitous feeling of ownership and loyalty about it, as though cask bitter is one of life’s constants around which you can base an existence. In my particular corner of the north, some of the most common beers you’ll find are pale ales and bitters, and one of the most commonly found breweries in my area is Moorhouse’s. I figured that, as one of the largest independent traditional brewers in the area, they might know a thing or two about cask’s popularity around these parts, so I called to ask why they felt cask beer is so extremely important to us northerners. Phil Saltonstall, the director of Brass Castle brewery in Malton, Yorkshire, has seen his fair share of conflicting opinions about cask beer in the north of England. Famous most recently for bagging top visitors’ choice awards at the Manchester Beer and Cider Festival for two of its cask beers, I wanted to know if, as a newer brewery with an experimental streak, Brass Castle had seen a different side to the drinking habits of northerners. After all, Moorhouse’s might see more habitual favouritism and loyalty given its 150 years in the business. How did his experiences with northern customers compare? "In the north, cask beer has been seen as a ‘poor person’s pint’ for a long time"
So, it’s fair to say that cask beer is loved in the north for its accessibility, reliability – a person can find a beer they like and stick with it for life – and price. It’s a hard lesson I keep learning, but however many times I deny that we northerners are tight (I prefer “fiscally vigilant”), the point is proven to me all over again. Cask is a birth right around here. Raise the price and you’ll feel wrath from all sides. That’s what worries Phil – that we’ve undervalued cask, and it will become tougher to brew good cask beer unless we learn to price it “correctly”. Even as it gets nudges closer and closer to the craft beer spotlight, this seems unlikely. The future of cask is a big topic, particularly at this point in time when many craft breweries are looking to cask as their next great adventure. I wanted to know why proper northern Moorhouse’s customers buy proper northern Moorhouse’s beer, according to Lee. "you have to wrestle the positives of whether you want plaudits and praise for your experimentations, or if you want to make a beer that people develop an emotional connection with"
Brass Castle’s appearance at the Beers From The Wood bar at Manchester Beer and Cider Festival showed that tradition has a place for newer, craft-led cask breweries. For Phil, landlords are signalling that beer from the wood could become a larger trend this year, and not just for the older drinkers who still see it as the gold standard of dispense. Perhaps this is how northerners will begin to see cask as less of an under-appreciated budget product. Will beer from the wood allow it to begin its ascent to greatness? As a parting comment, Phil tells me he thinks we need to tread carefully on that.